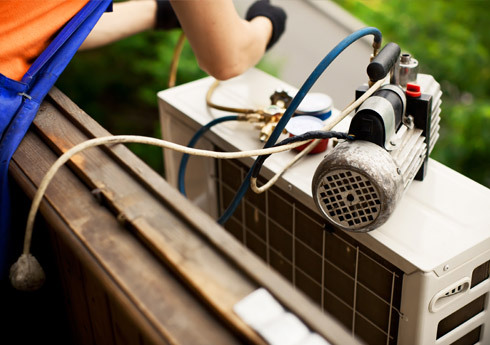 Have you found a breakdown, failure or leak in your air conditioning or heat pump systems? The Clim Var Froid team responds quickly to fix your problem, wherever you are in the Var region. 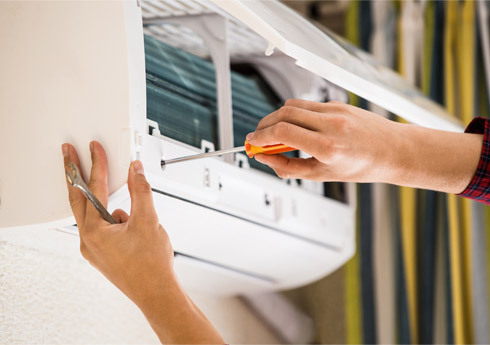 Has your air conditioning or heat pump system broken down? Is your air conditioning system expelling only air, neither hot nor cold? Is there water running down the wall? Is your system making a strange sound? Has your remote control stopped working? These are the main warning signs of a breakdown in your air conditioning or heat pump system. Calling a professional to inspect and repair your installations guarantees high quality service and peace of mind. Clim Var Froid is quick to respond, so as to get your air conditioning or heat pump system up and running again as fast as possible. Within 48 hours, you'll have certified technicians coming round to analyse the fault. Equipped with cutting edge technology and regularly trained in the latest air conditioning and heat pump systems, the Clim Var Froid technicians have the competence to respond rapidly to all your breakdown, maintenance and repair needs, whatever the make and model of your system. In order to find the source of the breakdown, all the equipment is checked: compressor, heat exchanger, filters and fan. We'll replace defective parts get your installations back into working order as fast as possible.